After a 6-bln-euro writedown in the third quarter, the Germany utility’s liabilities are on track to overtake its assets. It needs 2 bln euros of cash to pay for nuclear cleanup but still aims to pay a 400 mln dividend. That’s a campaign pledge that belongs on the scrapheap. German utility E.ON on Nov. 9 posted a net loss of 9.3 billion euros for the first nine months of 2016, compared with a 9.8 billion loss forecast by analysts in a Reuters poll. It was triggered by a 6.1-billion-euro writedown on Uniper, the power plant and energy-trading division spun off in September. E.ON's total writedowns on power plants since 2014 now exceed 24 billion euros, almost twice its market valuation at the close of Nov. 8. E.ON will have to pay about 10 billion euros for a public fund that will be responsible for the long-term storage of nuclear waste, and Chief Financial Officer Michael Sen said on Nov. 9 that it needs around 2 billion euros in additional capital to do this. Sen said the group aimed to avoid a large-scale rights issue with shareholder subscription rights, adding the group had sufficient "financing flexibility" to make the necessary funds available. 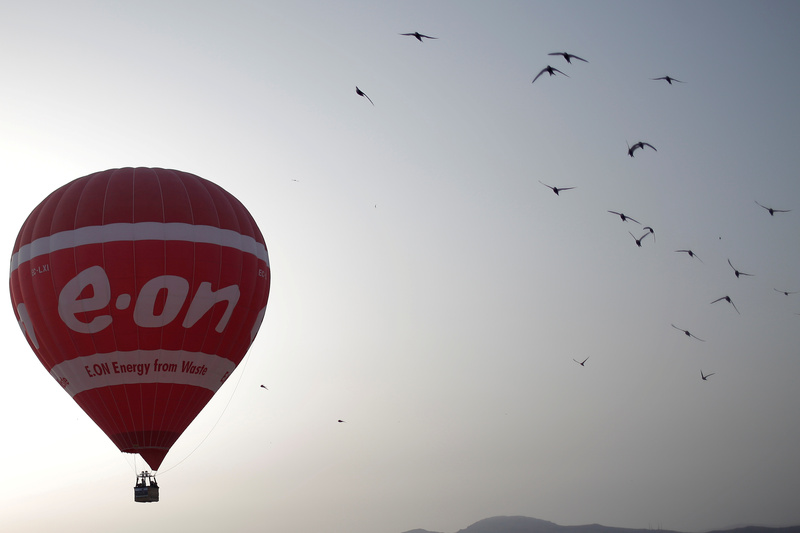 Shares in E.ON were down 1.48 percent to 6.32 euros by 0949 GMT.